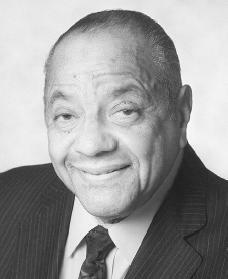 Journalist and author Carl Rowan was one of the first African American officers in the U.S. Navy. He also served as U.S. ambassador (representative) to Finland and director of the U.S. Information Agency. Carl Thomas Rowan was born on August 11, 1925, in Ravenscroft, Tennessee. He was one of five children born to Thomas David and Johnnie B. Rowan and was raised in McMinnville, Tennessee. As a youth he worked hoeing grass for ten cents an hour. Rowan was determined to get a good education. He graduated from Bernard High School in 1942 as class president and valedictorian (having the highest rank in the class). Rowan then moved in with his grandparents in Nashville, Tennessee, and worked in a hospital for tuberculosis (an infection of the lungs) patients before enrolling in the Tennessee Agricultural and Industrial State College in the fall of 1942. Rowan, in his freshman year, participated in a training program that led to his being chosen as one of the first fifteen African American persons in history to gain a commission (a certificate giving military rank) as an officer in the U.S. Navy. He was trained at Oberlin College in Ohio and at the Naval Midshipmen School at Fort Schuyler, New York, and he served during World War II (1939–45; a war fought between France, Great Britain, the United States, and the Soviet Union on one side, and Germany, Italy, and Japan on the other). After leaving the Navy, Rowan returned to Oberlin College, earning his bachelor's degree in mathematics in 1947. He went on to receive his master's degree in journalism from the University of Minnesota. In 1950 Rowan married Vivien Louise Murphy, a public health nurse; they had three children. Rowan then joined the Minneapolis (Minnesota) Tribune as a copyreader. He became a general assignment reporter in 1950. Among his early pieces were a series of columns entitled How Far from Slavery?, which he wrote after returning to the South to study issues of race. The articles contributed to Rowan being the first African American to receive the Minneapolis "Outstanding Young Man" award. They also served as the basis for his first book, South of Freedom (1952). Rowan spent 1954 writing columns from India, Pakistan, and Southeast Asia. These led to a second book, The Pitiful and the Proud (1956). A third book, Go South to Sorrow, was published in 1957. Rowan was the only journalist to receive the Sigma Delta Chi award for newspaper reporting in three straight years: for general reporting in 1954, for best foreign correspondence in 1955, and for his coverage of the political unrest in Southeast Asia in 1956.
affairs in the administration of President John F. Kennedy (1917–1963). He was involved in the area of news coverage of U.S. military involvement in Vietnam (1955–75; from 1961 to 1970 the United States aided South Vietnam in its war against Communist North Vietnam) and accompanied then Vice President Lyndon Johnson (1908–1973) on a tour through Southeast Asia, India, and Europe. Rowan went on to serve as ambassador to Finland (January 1963–January 1964) and as director of the U.S. Information Agency (January 1964–July 1965), the vast government communications network. In the latter post, Rowan became the first African American to hold a seat on the National Security Council and oversaw a staff of thirteen thousand. In 1965 Rowan resigned to accept an offer to write a national column for the Field Newspaper Service Syndicate and to do three weekly radio commentaries (expressions of opinion) for the Westinghouse Broadcasting Company. Rowan developed a reputation for being independent and often controversial (causing dispute). He urged Dr. Martin Luther King Jr. (1929–1968) to change his antiwar stance because he felt it was hurting the civil rights movement, and he called for J. Edgar Hoover (1895–1972), director of the Federal Bureau of Investigation (FBI), to resign. His column reached nearly half of all homes receiving newspapers in the United States. He appeared on many public affairs television programs, served as a roving reporter for Reader's Digest magazine, and was a popular public speaker. Rowan once told Publisher's Weekly, "You gotta get tired before you retire," and he went on to publish several more books, including Dream Makers, Dream Breakers: The World of Thurgood Marshall and The Coming Race War in America: A Wake-Up Call. In 1987 he started Project Excellence, a program designed to make it easier for top-performing African American high school students to attend college. By 2000 the program had given out twenty-six million dollars in scholarships to over eleven hundred fifty students. Rowan died of natural causes in Washington, D.C., on September 23, 2000. Bynum, Lynn. Carl T. Rowan, Journalist Extraordinary. Bloomington: Afro-American Arts Institute, Indiana University, 1975. Rowan, Carl T. Breaking Barriers: A Memoir. Boston: Little, Brown, 1991. Rowan, Carl T. South of Freedom. New York: Knopf, 1952. Reprint, Baton Rouge: Louisiana State University Press, 1997. Zehnpfennig, Gladys. Carl T. Rowan, Spokesman for Sanity. Minneapolis: Denison, 1971. To the Carl Rowan family, I would like to thank him for all of the great contributions he made to humankind during his lifetime. He was a mentor for me when I grew up in the 50s and 60s. It would be great to see what his thoughts would be in 2008. God bless! Rousseau, Jean-Jacques Rowling, J. K.